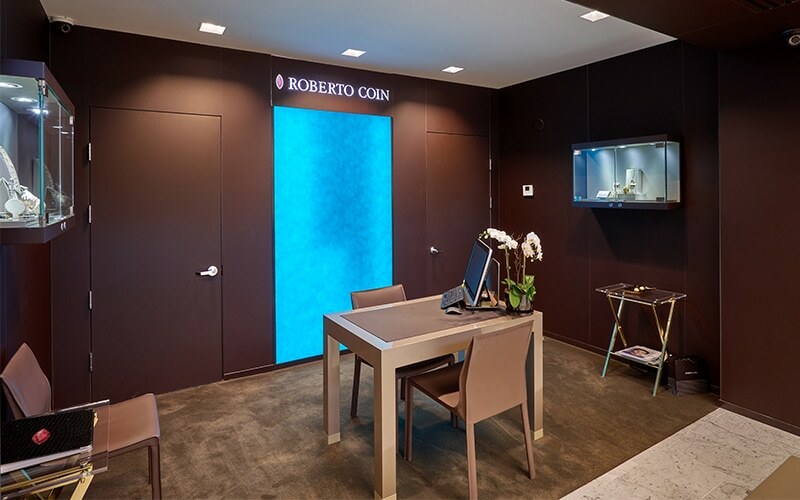 For its ninth U.S. boutique, Roberto Coin chose to build in Miami’s Design District. Gilbert was tasked with creating a way to grasp the Roberto Coin aesthetic and incorporate it into the bright, buzzing streets of Miami. We converted Roberto Coin’s two-story building into a single-floor custom retail environment, creating luxurious high-ceilings, and imparting the store with a light, airy atmosphere. 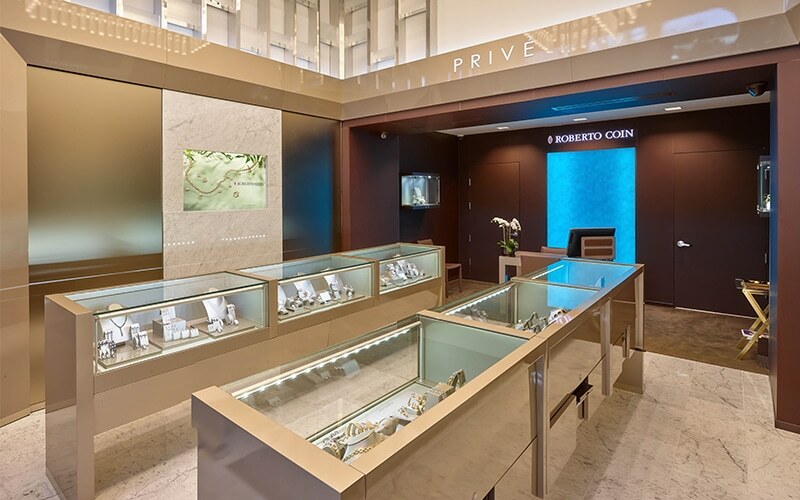 Walking into the storefront, visitors pass a space that mirrors Roberto Coin’s trademark Pois Mois’ iconic pieces. Whilst standing beneath a striking chandelier that looks as if gold flakes are falling from the champagne-colored archway, visitors can see straight through to the branded back wall, inspired by Roberto Coin’s signature dark brown style. 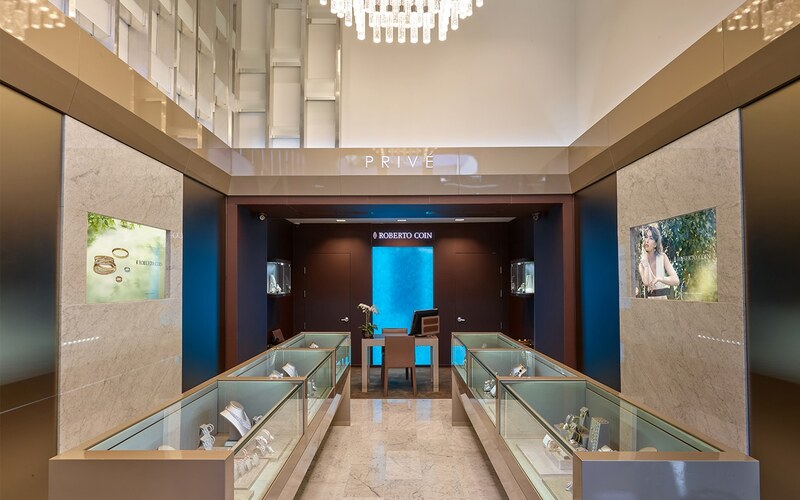 Overall, the collaborative project between Roberto Coin and Gilbert was a success, attracting shoppers that enjoy luxury and fine jewelry, and giving Roberto Coin a trendy refresh inside one of the Miami’s hottest retail destinations.